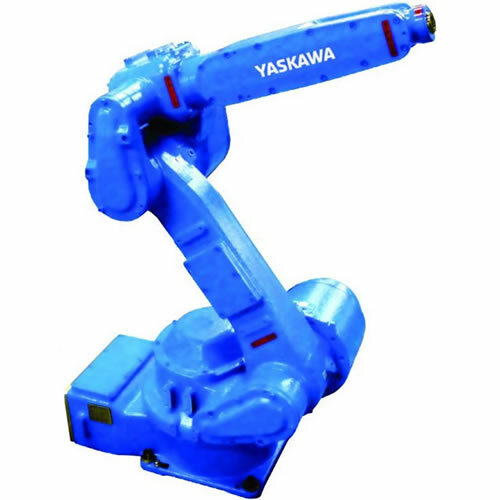 Yaskawa Motoman offers manufacturers a wide range of robotic painting products and technology. 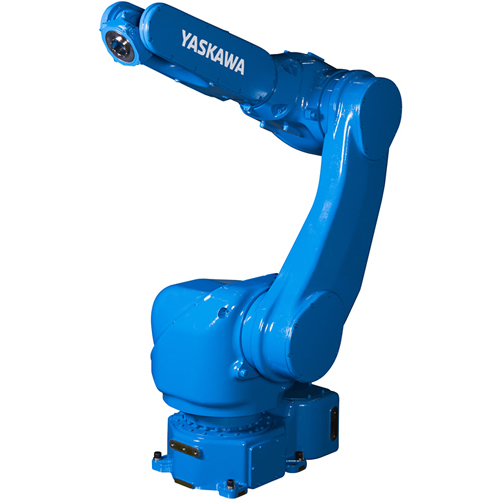 Our flexible, high-performance paint robots increase finishing quality, consistency and throughput, while dramatically lowering operating costs and decreasing wasted material. Before the part is painted, it is often fabricated in another area of the plant or in a separate plant. 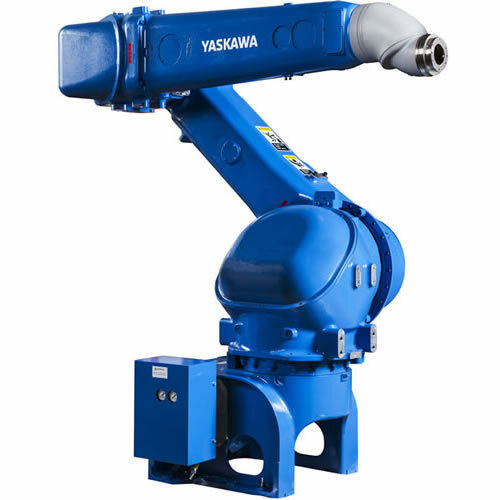 Our robots are used for a wide range of fabrication operations, including arc welding, spot welding, forming or bending and machining or grinding. Parts nearly always require some preparation. This includes finishing the part in a sanding, buffing or polishing process. Parts often need to be cleaned or etched prior to painting. 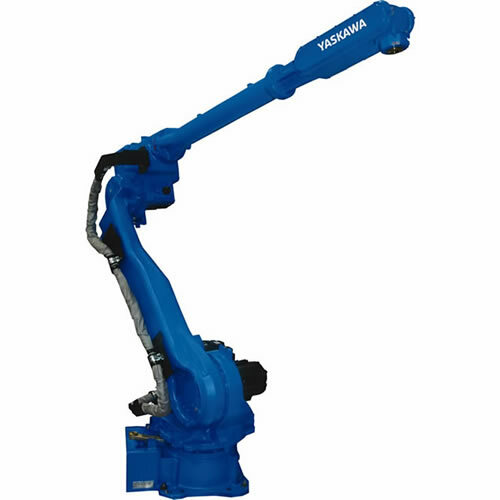 Our application-specific industrial robots are used extensively in all of these operations. 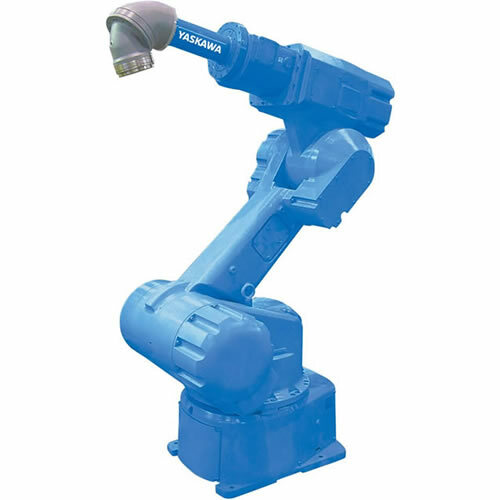 Presenting parts to robots varies widely from application to application. For industrial paint operations, parts are typically presented in a batch tote, bin or on a flat conveyor. The parts must then be located and placed onto a rack or an overhead conveyor for presentation to the coating equipment. Our MotoSight™ robotic vision products can help locate the parts so that the robot can pick them up precisely and consistently. After the coating is applied, it must be cured. This is normally done over time by applying heat or using ultraviolet lamps. The actual curing process is most often done with parts on the same rack or conveyor, just downstream from the coating process. After the coating is cured, parts can be removed from the rack or conveyor. 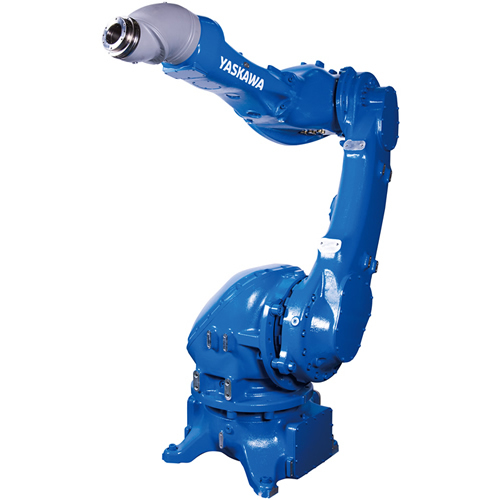 We have a broad range of material handling robots that can move the parts to the next process. 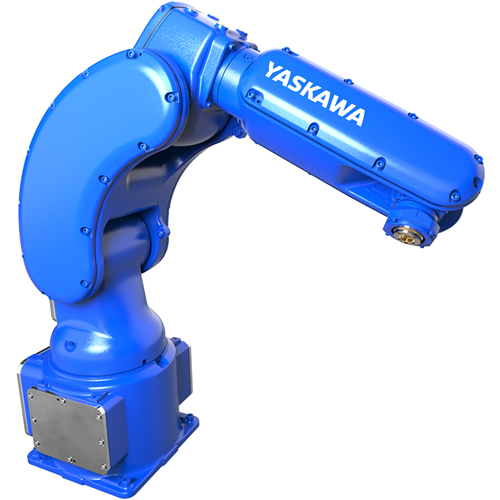 The complete line of Yaskawa paint robots provides versatility and superior performance in standard industrial, automotive and aerospace coating and dispensing applications. These application-specific paint robots can be used for primer, base coat, finish coat, clear coat and spray dispensing, using water-based, solvent-based, powder, glaze and glue/adhesive materials. They efficiently coat complex parts of nearly any size and shape, including recesses, curved and contoured surfaces -- without runs or sags. Motoman paint robots can be programmed to apply coating materials to different areas of the part to various film thicknesses. 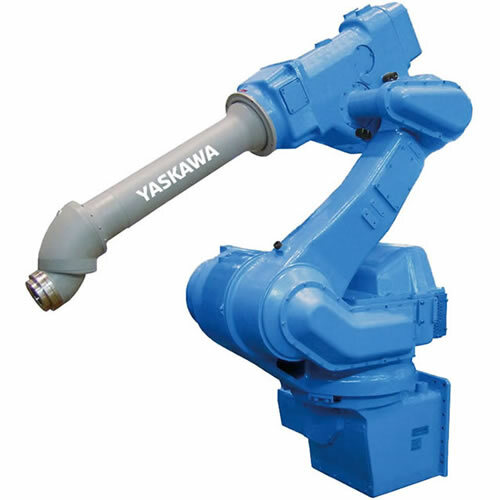 They are available with a variety of hollow, Lemma, three-roll and standard wrists to suit your coating application needs.Paint robots use a special controller with a Factory Mutual (FM) Class 1, Div. 1 intrinsically safe (explosion-proof) rating.